This sighting came from a Haunted Yorkshire website visitor and dates back to the 1980s when they were walking their dog under the railway bridge on the Hydra estate which was formally known as Hoyland pickles in the 1970s and 80s. 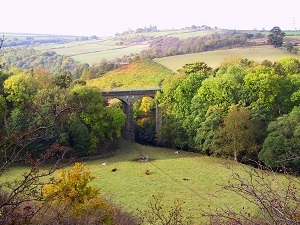 The walker recounts that he was walking under the bridge at around 5:30 am one morning and saw a man in an old raincoat and a trilby hat on. The man said morning to him and the person replied with good morning back, thinking that there was something strange about the man he walked a few more steps he turned round to take another look, however the mysterious man had disappeared, the dog walker checked both sides of the bridge to see where he could have gone, but the man had disappeared without a trace. One Yorkshire newspaper allegedly has its own ghost. 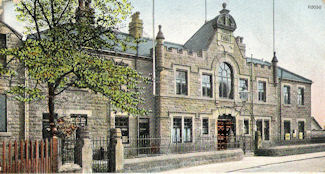 The offices of the Barnsley Chronicle, built partly on the site of a morgue, are reputedly haunted by a woman in white and an ethereal figure made from black smoke. 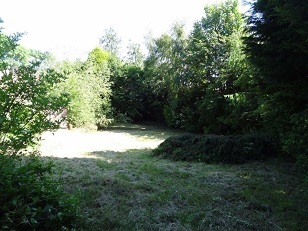 A Haunted Yorkshire visitor Garath, sent this report through after he had spent a weekend with his son and mate camping at Cusworth hall on the 9 September 2010, however, they decided to move on to Brookfield Park, Manvers and spend the night there too. However when they got there they saw an apparition on the other side of the road, they followed it up to the golf range, however, this disturbed them so much, they ended up calling a friend to collect them. 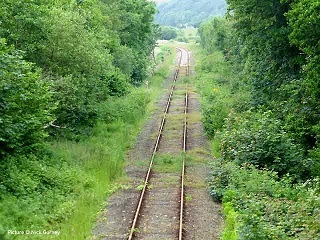 Garath said that he felt that the ghost knew they were there and it was watching them..
A sighting of a ghostly figure has been seen walking along the railway line. The witness described her has been elderly with a shawl wrapped around herself. 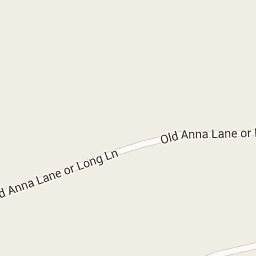 However, upon speaking to the old lady, she simply just disappeared. One cold night a group of friends were walking through the village of Harlington towards the Crown public house. When walking towards them came an old man, the group spoke to him, but were shocked as he passed, he slowly began to disappear. 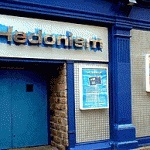 The ghost of a woman has been seen at Hedonism Nightclub in Barnsley. It stands on the balcony with an apron on staring down into the nightclub. 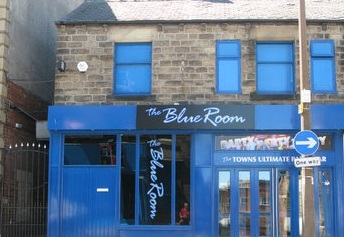 Formally the night club used to be an old Co-op but no links can be made to the ghostly figure that is seen there. 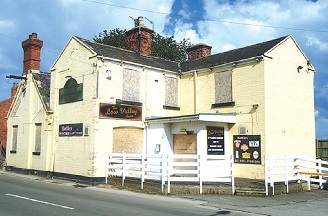 The landlord of Low Valley Arms was woken one night when he thought the pub was being burgled, upon investigating the noises, he found that all the TVs in the pub were switched on. While his wife turned the TVs off he went to check the bar toilets, has he entered the ladies toilet the figure of a woman could be seen standing in the door way. The landlord described the woman as just flesh and muscle with part of her jaw missing. Scared of what he had just seen he called the Police. Upon the arrival of the Police they entered the toilets and witnessed the toilets flushing by themselves. 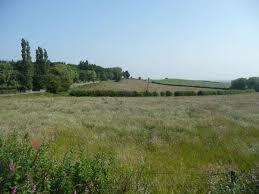 The landlord was always very sceptical of such sightings until that evening in April 2006!!!! 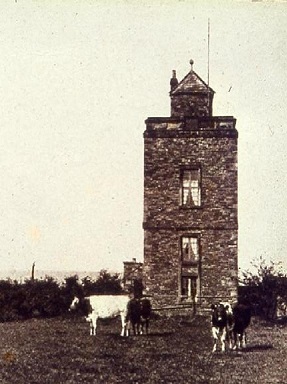 The stand was built around 1720 and stands proud towering above Hoyland Common along side an old grave yard at the side of St Peters church. A young man named Jason was walking his dog one February 2006 at around 1830 the weather was very windy, as he walked back through the grave yard a white light appeared before him, he was quite taken a back. With this he ran out of the grave yard very quick, not believing what he had just seen. Jason says, he never believed in such things before until that day. Storey submitted by Jason Howell from Barnsley. The Room is one of Barnsleys most famous haunted pubs, it was built at the turn of the 19th century and has in turn seen many land lords and ladies pass through, many of whom have seen manifestations on all 4 floors of the establishment. These have ranged from an old man wondering around in the cellar to a woman from a different era wondering around the main bar area. 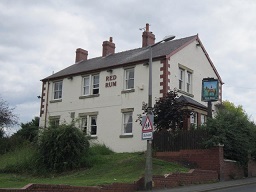 The Red Rum public house in Barnsley, which is believed to be haunted by the specter of a woman thought to have died there in the last century. Doors have helpfully opened themselves for people to walk through, and cleaners and customers alike have spotted a lady in long skirts, who appears and disappears suddenly. In 1990, regular customer Wayne Clarke was about to leave the Red Rum one night, after last orders, when he was astonished to see a stranger walk through the bar. Knowing that nobody could have entered the premises, and the doors were locked, he quickly described what he had seen to the landlady ... who confirmed that he had indeed seen the resident ghost! Wayne noticed that the woman was dressed in an old fashioned manner, in long skirts and a cap. There had been several similar sightings of the Red Rum's resident ghost over the years, though her exact identity remains a mystery. Date/Time: Thursday 17 September 1992. A taxi-driver from Kendray, John Cullen, 29, was driving with his wife Diana, 33, and their three children, along this dark back lane between Thurgoland and Hood Green, when a ghostly figure floated out in front of their car near the Eastfield Inn, causing it to stall. "This ghost-type figure floated about three feet above the road in front of our Orion car," said Mr Cullen. "The car just stopped - it stalled on me. The featureless shape, which drooped down like a policeman's cape, glided to my wife's side of the car and into woodlands at her side of the road." The couple, who didn't previously believe in ghosts, just looked at each other. Mr Cullen claimed to have seen it before, but didn't mention it for fear people might think him crazy. Since on this occasion his wife saw it also, they decided to report it to the police. Further comments: This white woman has been seen near the railway, melting away if approached. 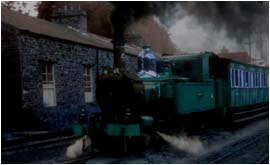 It is thought that the woman may have come with one of the steam engines that are displayed there. Further Comments: A worker fled this coalfield after he watched a pair of disembodied boots moving towards him deep underground. 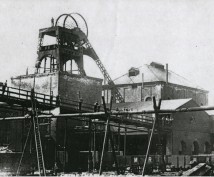 The occasional appearance of a gentleman wearing a grey suit, with no helmet or lamp and seemingly not connected with the colliery at all, startled several miners working underground at Grimethorpe in Barnsley. Rumors of the inexplicable figure soon spread throughout the workforce, who nicknamed him 'Charlie'. Although at first thought to be a hoax, the sightings continued until certain colliers refused to visit the seam where he had been seen alone. No clue to his identity was ever forthcoming, and Charlie remained a mystery... or perhaps a hoax planned by one of the workforce! A more specific, but unconnected sighting, from 1978, is reported by a former Grimethorpe miner, Jim (whose full name has been withheld on request.) As an engineer, Jim often worked alone on haulage engines in an isolated area of the pit. On one particular night shift, he was joined by a man he didn't recognize, whom he assumed had been drafted in from another colliery. The stranger introduced himself as 'Joe', they chatted together, and worked for a while until a message came over the tannoy for Jim to stop the haulage and leave the site. When the deputy informed him that the belt needed shunting, Jim replied that Joe, who was still on site, could operate it without the need for him to return. The deputy had no record of anybody else in that area of the pit, and pointed out that, if a man had entered or left, his only route would have been to pass them directly, which nobody had. Two deputies and three staff immediately went to the haulage area, and found it empty. However, a shovel and a half-cleared pile of coal were in place where Jim had last seen Joe working. Jim had spent enough time with the mystery miner to give a good description, and he had also been told his full name (also withheld here on request). On reporting this to control, it was confirmed that nobody of this name was underground. However, from the description given by Jim, the mystery miner was identified shortly afterwards by a colleague who had worked with him over thirty years before ... until his death in the 1940's. Interestingly enough, in this case, rather than disbelieving Jim's story, pit officials asked him to keep quiet about it, so that men did not refuse to work in this area of the pit. The immediate family of the ghostly miner soon heard of the sighting, and approached Jim themselves. He gave them the same description of "Joe" and they, too, confirmed that Jim had indeed seemingly talked to a relative of theirs, the ghost of a man he had never met! Mr Wall said nothing to his wife on this occasion for fear of frightening her even more, although soon afterwards the couple resorted to sleeping with the lights on all night. Shortly later the face appeared again, this time grey in colour, against a brightly lit wall... then rose to the ceiling and disappeared. Pub owner Mr J Nolan promised to make exorcism arrangements immediately, although the Lister family, who had run The Hermit for fifty years previously, had never reported any such problems. 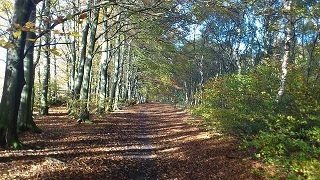 Many sights have been seen on this old woodland sight, which include dark shapes moving around, light formations and unexplained noises including footsteps. Legend has it that a miner hadn't returned home from work, so his wife went looking for him and fell down a mine shaft which used to be quite close to the entrance, unfortunately she died in the shaft before she was found. Further Comments: The ghosts of several miners killed in a disaster in the 1850s were reported when the surrounding pits were in operation during the twentieth century.. The Storey: 1850-1875 wasn't a good time to be a coal miner in the Dearne Valley! Hundreds of boys and men were killed in disasters at local collieries in a relatively short period - over 750 dead in less than 25 years in an area less than 10 square miles. Nearly 200 men and boys were killed in Lundhill Colliery, near Wombwell, on 19 February 1857, when a fire-damp (gas) explosion ripped through the underground workings. Of two hundred and fourteen men and boys that went underground that day only 25 survived the explosion. 90 women were widowed and two hundred and twenty children were orphaned. 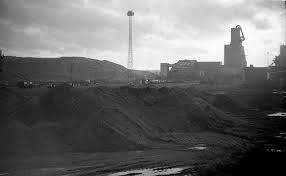 The explosion was heard and felt over two miles away from the colliery and when rescuers tried to go down the shaft to look for survivors they found the coal was on fire and had to abandon any attempts at rescue. Shortly after flames started pouring up out of the shaft, becoming a mass of flames which observers reported as illuminating the countryside for a great distance around the pit. 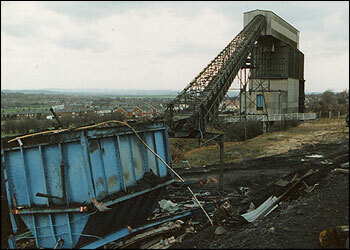 The fire was eventually put out by diverting a local stream into the shaft and flooding the colliery. 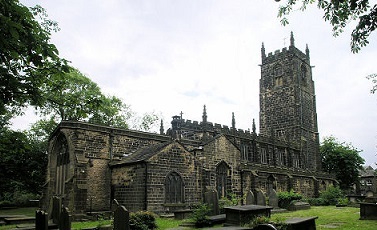 It was several months later that 185 bodies were eventually recovered ( some were never found) and 146 of them were buried at Darfield Church, where a monument to the explosion still stands. The cause of the explosion was declared as accidental but an inquiry did find that there had been criminal negligence at the colliery in using naked lamps and candles for working instead of safety lamps. 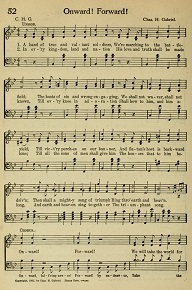 Further Comments: The sounds of a hymn being played on the club's organ were reported, though there was no one on the instrument at the time. A shadowy figure has also been reported, as have cold spots and strong bursts of wind. 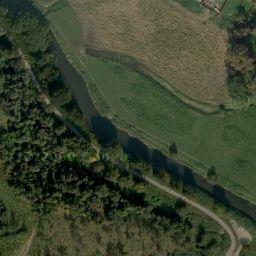 This ancient building in Cundy Cross, just outside Barnsley, was originally a watermill. 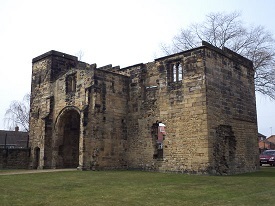 Built in 1150 by the Cluniac Monks from nearby Monk Bretton Priory, it passed into the hands of the Benedictines, and in the 17th century the mill was taken over by the Quakers. The building lay in ruins for many years before extensive renovations returned its former glory, and today it is a beautiful roadside tavern. 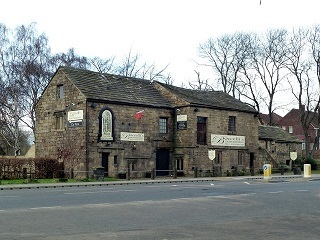 Rather than its haunted history putting off the drinkers, psychic experts who have claimed to be in contact with the Mill's several ghosts have encouraged the curious to visit. Conversion work, which began in 1991, saw a number of disturbances - a common factor in haunted houses. Barmaids have described how unseen hands have touched them, and white shapes have floated through the walls. Customers have seen small objects such as ashtrays and glasses move of their own free will, and the figure of a 'solid-looking' ghostly monk standing in the shadows has manifested itself on several occasions. Further comments: A ghostly gentleman over six foot tall makes several appearances at this site mainly at dusk. 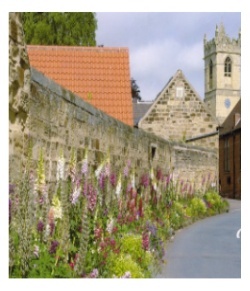 Two young girls were riding down the lane near the grammar school when they had to swerve and miss a woman whom appeared in front of them. They describe her has been from the sixties era wearing a coat and hat and walking a dog. When they turned round to see what she was doing, she had completely disappeared. 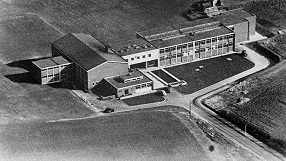 Barnsley District General Hospital Delaney Hall On the site where the hospital stands now, the old St. Helens maternity hospital used to stand, and previous to that it was the workhouse/poorhouse. There have been reports of many ghostly experiences around the hospital. On the infectious diseases ward - which used to be the children’s ward, staff claim that when they have worked nights they can hear children crying, the current children’s ward is no where near that ward, so it can't be those children that they hear. One of the gynecology wards which is now offices, is haunted by a young girl called Sally, she could not be resuscitated and staff say that she presses the stomach of anyone who enters the side room where she died. The ward itself has a very eerie feel to it, and shadows have been seen moving around at night, as well as unexplained noises. Another ward that is now offices is haunted by an old lady with gray hair who rocks in a rocking chair, she is said to be friendly though. 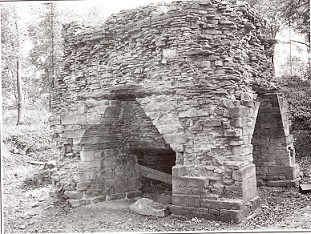 The furnace just outside Hoyland at Barnsley is said to be a place where various strange goings on have been seen by witnesses. these include a man walking his dog seeing another man from another time working at the furnace, to strange lights been seen coming from the tower. On a cold, wet night, the 12b train was heading on its journey from Royston to Monkton, bringing workers home from the coking factory. 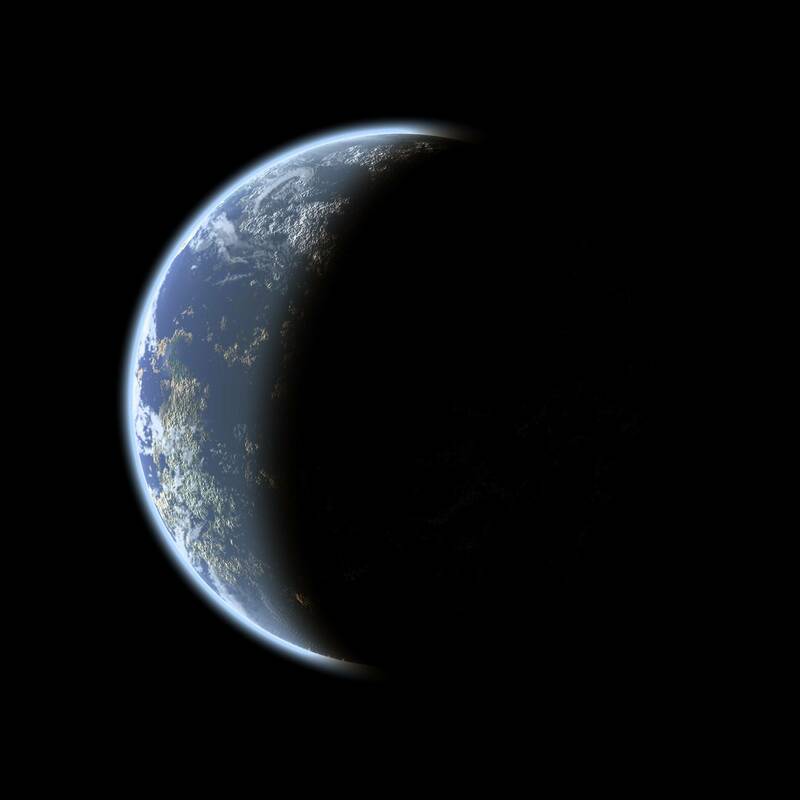 Mist had swept in from the coast, masking the moon - it was pitch black. As the train approached a tunnel, the driver was surprised to see an old man slowly tottering across the tracks. He put the brakes on, but it was too late, and the train hit the man. The driver stopped the train and got out, but he couldn’t find any trace of the old man, or any sign that the train had hit anyone. He started the train up again, but just before the train arrived at Royston, an apparition of the old man appeared in front of him, and whispered the words, "Sleep safely this night, as it will be your last." “All the passengers on the train died mysteriously that night, and the line was closed”. A Haunted Yorkshire visitor passed some information on regarding this story, please see his comments below, we would like to thank Lee for bringing this to our attention. Firstly 12B wasn't a train number that ever ran on the Royston main line - trains had a seven digit number back then! to catch a train home, not that they could anyway, Monkton NEVER had a railway station. Also there is no tunnel anywhere on the Royston branch line. 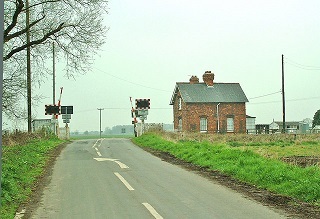 The tracks are still used to this day (for freight only) and have never closed, although the accompanying sheds and station were closed in the early 1960's as part of Dr Beechams streamlining of the rail network, 1962 to be exact! Around the 19th century this figure, which would disappear if approached, was thought to be the ghost of a local man who had fell in love with a family maid; they had arranged to run away together, but this was prevented, so the man joined the army. He died soon after, and his ghost returned to what should have been his romantic rendezvous point. In 1729, the hall became home to Little John's bow after it was removed from Hathersage church. This public house was once used to store dead bodies which were found on the nearby moorland - it is believed a few of these unfortunates have remained earthbound, and are now seen as fleeting shadows from the corner of one's eye. Strange smells have also been reported. In 1793 a local curate watched two lights dance around a particular grave in the village, before disappearing. The following day, the grave was opened to allow the burial of a young boy who had died at the time the glowing balls had been seen. A Scout Leader took a group of boys to Silverstone Scout camp in Barnsley in the summer of 1985 and got more than what he bargained for. 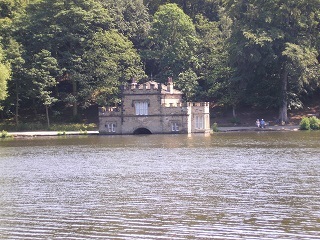 The summer camp was always held during the first week of the Summer Holidays at the end of July. On the night in question, one of the Scout Leaders went to the Pub at the bottom of the hill and said that he would return about 22:30. The task of checking the tents was therefore left to Andrew Beecroft who was there with his pregnant wife and 4 year old son. Andrew left his wife and son in the tent and looked over the views over the North West and to wait for his friend to return. It was about 2230 hours and the light summer sky was illuminating the site a little. Andrew then saw a figure coming towards him across the field which he presumed was his friend returning from the pub, however, this figure, seemed to be dressed in a dark uniform, Andrew called over to him but he just ignored him. The figure carried on walking towards Andrew until it was about a metre away from him then it turned very sharply approx 180 degrees. Andrew followed him, annoyed that he hadn't acknowledged him, and tried to tap him on the shoulder... at which point, he just vanished into thin air! ghost! He rushed back to the tent to tell his wife, who in her state, just didn't want to know. 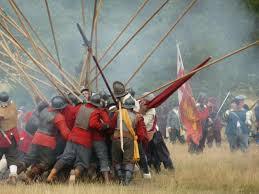 Ten minutes later, the friend returned from the pub and he told him what had happened! The next morning, the part-time camp warden came to see them like he did most mornings. Andrew told him what he'd seen, and he just said casually, "You've only seen the old railway guard - loads of people have seen him!". woods there. One evening, he'd gone a different way to normal, and had accidentally fallen down one of the open cast mine workings that had existed in the woods many years ago and had died of exposure before he was found the next day! Barnsley miner Glenn Washington recounted the following story, concerning an experience which a colleague had in the early 1980’s. This man was a maintenance engineer at South Kirby Colliery, and was performing the routine duty of walking along the belt line, ensuring that it was in working order as it transported coal. He noticed a figure in the distance, removing spillage with a shovel and throwing it back on to the belt. The engineer did not recognise the man, although they exchanged names and stopped for a chat before he continued along the belt. It was over an hour later when a deputy was made aware that another miner was working in the area. Convinced that nobody should have been there, he contacted control, giving the name which the stranger had given to the maintenance engineer - only to receive the reply that a man of this name had died twenty years previously! Needless to say, when they rushed back to the belt, there was nobody in sight. 2 friends had just walked the wood, when they began to hear a banging sound like a drum coming from the woods, as they turned around to investigate what the noise was, they were shocked to discover that there was a white light in the same of a human figure stood in the entrance of the woods. It stayed there for a few minutes and then just disappeared. Phantom soldiers reputedly walk the moor, the scene of a long forgotten skirmish, many other sightings of ghosts have been seen around this historical area.. I decided to contact you to tell you my experience since you are from Rotherham, near Sheffield, and you may know the place that I'm talking about and to receive some comments about it. I went to Tankersley Manor, Barnsley for a few days. As I entered the hotel everything was fine. After going to my room I suddenly started feeling strange and very sleepy, and then I fell in a very deep sleep. After one hour my alarm clock rang so I woke up and I felt vertigo, a lot of nausea and conk out for a moment. After feeling like that I took some tablets but that didn't improve my physical status. As I was feeling very bad with vertigo and very sleepy I went to bed again. The next day I couldn't feel better so my friend took me outside. As I went outside I felt suddenly better. 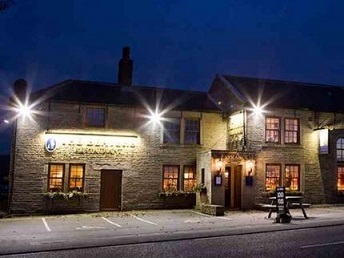 As I went back home I red the reviews of Tankersley Manor and I saw someone speaking about ghost, so I searched on the web and I found some documents about it and the death of a young girl there and about the Cromwell’s army so I thought about the past and that maybe I felt that bad because of something that wasn't me. Could you explain me more about that place and tell me if it's possible that the paranormal activity could affect the health/physic of a person. 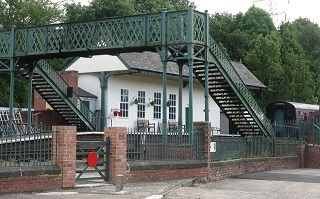 The "ladybird" Bridge, Elsecar. A few years ago there was a suicide on this bridge, and whenever there is a stormy night, the ghost of the victim can be seen climbing back onto the bridge from where they jumped to their death! The ghost in The Playhouse is known affectionately as Albert, and although nobody is certain as to who he might have been his presence manifests itself in a variety of ways. He is a mischievous ghost who plays tricks; apparently People have felt his presence in certain ‘cold spots’ in the theatre. He has been seen, on occasion, as a figure in a grey coat. Sighting: A man was seen standing in the porta-cabin wearing an old war uniform, he was said to be staring at a teacher. The lights also switched off and the room went cold. In addition to this sighting, dark shadows have been seen in the music block, upon investing these, no one was there. After a night out in Barnsley 1964 a couple were coming through Wombwell Woods. As they turned a corner on to the road a man jumped out dressed like Guy Fawkes, he threw his cape over his face and they drove straight through him. Needless to say they they left the area quickly.